We welcome today’s fantastic announcement that Scotland is committing to introducing a deposit return system (DRS). This will result in an incredible 39 million fewer cans and bottles polluting Scottish communities and coastlines annually. This great news comes on the back of years of campaigning and our huge petition for deposit return systems that stands just under 250,000 signatures. 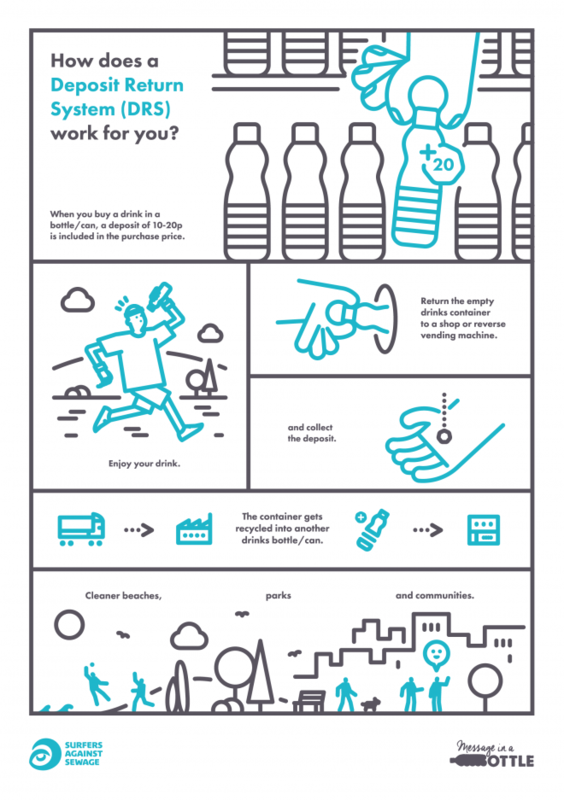 A DRS will also dramatically boost recycling rates, with drinks containers expected to leap from around 50% to approximately 90% in just a couple of years. This will secure a high-quality source of recycling material for Scottish manufacturers, boosting job numbers in Scotland’s circular economy. A DRS is forecast to save local authorities millions of pounds by reducing the burden of litter clean ups and bin emptying. This campaign victory was won on the back of multiple actions spanning several years. The highlights include SAS supporters and our Regional Reps repeatedly writing to their MSPs, MPs, AMs and MLAs, calling on them to introduce a DRS with our Message In A Bottle petition. This is the UK’s largest petition calling for a DRS, has almost quarter of a million signatures. These SAS actions have been complimented by joint actions with our Have You Got The Bottle coalition partners. This activity demonstrated a clear and overwhelming public support for DRS, helping persuade politicians to commit to DRS. Zero Waste Scotland will complete their systems design review to identify the best system for Scotland. We understand the system will be introduced in 2018/2019. Surfers Against Sewage would like to thank the First Minister and her cabinet, especially the current and previous Cabinet Secretary for the Environment Rosanna Cunningham MSP and Richard Lochhead MSP. This commitment has the potential to be even more successful than the carrier bag charge. 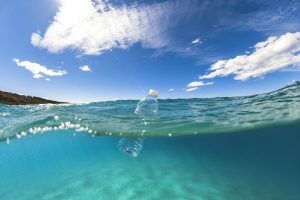 Whilst today will be remembered as a tipping point in the campaign against ocean plastic pollution, there is much more we still needed to achieve. The next step is to register to become a beach clean leader for our Autumn Beach Clean and help your favourite stretch of coastline become plastic free.